In Part 1 of this article, we began reviewing DWLS 2nd (and Subsequent) Offenses. This article picks up where the previous one left off. We’ll examine how a Lawyer approaches and handles DWLS 2nd (and Subsequent) cases, and how, with each successive prior DWLS conviction, a person edges closer to actually getting locked up for this charge. As in the previous article, we’ll simply use the term “DWLS 2nd” or “DWLS 2nd Offense” to mean both an actual 2nd Offense, meaning a person has only 1 prior DWLS conviction, as well as all “Subsequent” Offenses, where a person has 2, 3, or even more prior DWLS convictions. In my Practice, DWLS 2nd Offense cases are handled much like 1st Offenses. When I am hired by someone to handle a DWLS 2nd, I fist want to know why their License was Suspended. As much as we’ve talked about DUI’s, the most common reason for a License Suspension stems from either an unpaid Traffic Ticket or Tickets, or unpaid Driver Responsibility Fees. If at all possible, the first thing a person with ANY Suspended License charge should do is clear up whatever it was that caused their License to be Suspended in the first place. Obviously, if the reason is for a DUI, all the person can do is wait. If the Suspension is the result of an unpaid Ticket or Tickets, then the person should pay them, or at least begin scheduling Court dates or work out some kind of payment plan to at least set the ball in motion. The reason this is so important is that, as a Lawyer representing someone for a DWLS 2nd, I want to work out some kind of Plea Bargain for that person. Even if I know a Client is not likely to go to Jail, I need to try and minimize every other negative consequence of charge so that they can get back on the road as soon as possible, and so that they don’t go broke in the process. Let’s look at a few examples. Let’s say Dave the Driver gets pulled over in Warren for a DWLS 2nd. Lets say he already has a DWLS on his Record, which is the result of some unpaid Tickets elsewhere. When I go to Court for Dave, if I can show the Prosecutor that Dave has either taken care of his outstanding matters, or has at least started the process (meaning done more than simply saying he’s going to take care of them), it is still possible for me to work out the poster-boy of all Plea Bargains in this kind of case, which has the whole DWLS charge dropped to what’s known a s a “No-Ops.” A “No-Ops” stands for No Valid Operator’s License on Person, which amounts to being pulled over and having left your Driver’s License at home. It carries no Points, no Mandatory Additional Like Suspension, and no Driver Responsibility Fees. Sometimes a person like Dave the driver hasn’t had enough time to even begin this process before his new Court date rolls around. In those cases, I try and work out a deal with the Prosecutor to adjourn the case for a period of time to allow Dave to either clear up, or at least begin clearing up, the outstanding matters. Let’s look another example. Lets say Diane the driver is pulled over in Rochester for a DWLS 2nd Offense. Like Dave, she has some outstanding matters that have not been cleared up. When I go to Court for Diane, the Oakland County Prosecutor might not be as willing as their Macomb County counterpart to drop the charge all the way down to a “No-Ops.” In truth, that’s probably a pretty accurate statement. Anyway, in that case I am still usually able to have the Prosecutor drop the charge from a DWLS 2nd Offense (with the 1-year in Jail maximum and the up-to $1000 fine) to a DWLS 1st Offense (with a maximum Jail term of up 93 days and a maximum possible fine of up to $500). This is still better than what the Diane was originally facing. While her exposure in Court has been reduced, the Secretary of State is going to hit Diane with a Mandatory Additional Like Suspension. This means that if her License had been Suspended for a year when she got pulled over in Rochester, she’s going to get another 1 year Suspension tacked on. In addition, she will have yet another Driver Responsibility Fee to pay, and if she still has some owing, the new fee will be tacked on to that existing balance. In more serious cases, meaning those where the DWLS 2nd Offense charge really represents a Driver’s 3rd, 4th, or even 5th Offense, the goal of my efforts (and I would hope of any Lawyer handling such a case) really begins to narrow on just keeping the person out of Jail. How that is done can vary form Court to Court. Sometimes, a “no Jail” deal can be struck with the Prosecutor. The strategy for keeping the Client from getting locked up will have a lot to do with their unique circumstances, the facts about their case, and which Judge is hearing it. There is no way to list all the possible combination of things that can come into play, so here we’ll just leave it the way a surgeon does when he tells a patient that for all the x-rays and lab work, he’ll only know what to do when he “gets in there,” meaning when he’s opened the patient and seen what’s inside. 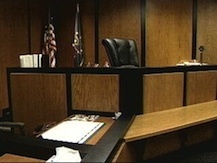 In many cases, the confluence of events present in the back room where the Prosecutor and Defense Lawyers meet, coupled with an assessment of the Judge’s disposition in the Courtroom that day cannot be calculated until you’re there. We have seen that DWLS 2nd (and Subsequent) Offense cases are the more complex cousins to DWLS 1st Offense cases. In addition, we’ve seen that, depending on a person’s prior Record, they run the gamut from being “no brainers” to stay out of Jail to real challenges just to do that. In the next series of articles, we’ll examine the far more serious Offenses of Driving While License Revoked 1st Offense, and DWLR 2nd (or Subsequent) Offense. Just prior to that, however, I am going to provide a short “How to Read and Use This Blog” article so that the reader can see how many of the various articles and series of articles are connected and cross-referenced.